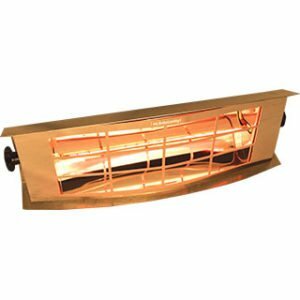 Technilamp’s home infrared heater is ideal for home heating as it provides instant, radiant heat. Our home infrared heater is 80% more economical than gas compared to a vertical mushroom heater. This has significant cost saving on your electricity! There is no gas burning smell as it’s clean and odourless. Furthermore, the vertical gas heaters take a long time to warm up a room – the gas heat also gets lost once a door opens or in windy type conditions, while our residential infrared heater is completely unaffected by the wind. Our Infrared heater warms up objects and the environment setting a comfortable direction heat flow. Technilamp modern design is aesthetically pleasing and suitable for indoor and outdoor infrared heating. It has a 9000 hour lamp life and is maintenance free. Our infrared heating systems for homes come in various wattages namely a 1500W and 2000W. 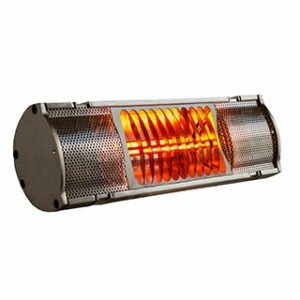 We also provide a 1500W stainless steel all weather proof home infrared heater for coastal regions. Our range is the best infrared heaters for home use. In insulated areas the heat can reach up to 12-16 square metres. In an uninsulated area up to 10 – 12 square metres and a draughty area up to 6 -10 square metres. If our heaters are wall mounted or ceiling mounted they can reach up to 3m. We also offer an 850W bathroom infrared heater which is IP65 certified i.e splash proof. This Bathroom heater provides instant radiant heat in any type of bathroom environment. You can browse through our range of patio and restaurant infrared heaters that come in different watts for various settings. Contact us today or shop now on our site. What is the difference between conventional and home infrared heating? Conventional convection heaters warm the air whereas infrared heaters warm all objects and surfaces in a room. These items store the heat and radiate it evenly to the room. This process produces a much more comfortable heat direction flow and room climate thus reducing the formation of dust and keeps the air less dry. Further advantages includes lower electricity costs, no maintenance costs (lamp last 9000 hours) and a simple mounting and their appealing design. 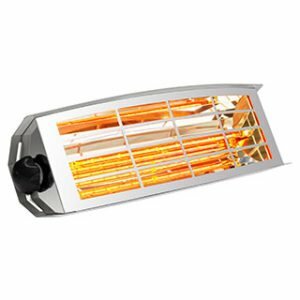 Does it make sense to use Infrared heaters instead of oil or gas heaters? Yes if you are using Techilamp’s residential infrared heater! We are 80% more economical than gas and 70% cheaper than oil heaters. Our home infrared heaters are the most efficient form of heating by far. How long does an infrared heater take to warm up a room? Instantly! Our heaters generate instant, radiant heat – no waiting on gas heaters to warm up an area. Infrared heaters will keep you warm even when it is windy as they are completely unaffected by the wind! Infrared rays are like sunrays, electromagnetic waves. Infrared heaters make use of short wave infrared rays that are absorbed on a surface and do not penetrate skin. Infrared rays do not have any negative effect on organisms but are perceived as pleasant heat radiation. What do I get when I buy an infrared heater? Can I place an infrared heater on a movable stand? Yes! We provide Tripod stands that a heater is mounted onto. Can I place an Infrared heater onto the floor? No it is very dangerous and generates too much heat. We however, have a Snuggy Footwarmer if you require something small on the floor to keep your feet warm. How many infrared heaters do I need per a room? It depends on the size of your room and what wattages you may want. Draughty areas – 6-8 square metres. Can I mount the heaters myself? Yes they are very easy to install it’s a simple plug in system with a 1.5m cord. Otherwise please phone or email for our net available electrician that can come and help you. Where in the room must the heaters be mounted? Either wall mounted or ceiling mounted. How can the heaters be controlled? There are no thermosats on the heaters. The main reason for this lies in the fact that it messes the lamps lifespan up being switched on and off. We however sell Infrared movement sensors as space may not be occupied in a room while a heater is on so the heater will switch off and switch back on again when someone enters.